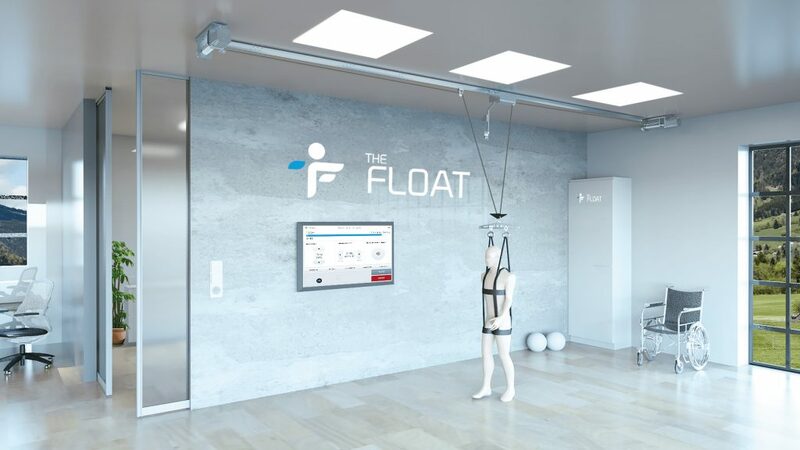 When space is limited, the FLOAT compact system with a single track offers a top notch body weight support systems with unique capabilities at affordable cost. In particular, the smooth control leaves the patient with a free comfortable feeling during training while ensuring safety and gentle support when needed. 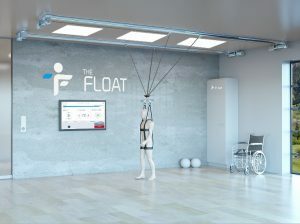 The unique gentle floating behavior of the system and the ability to apply a horizontal forward force supports natural posture and gait kinematics. The FLOAT compact offers all key functionalities and easy handling of the standard FLOAT system, e.g. 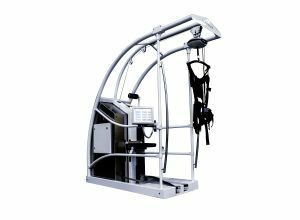 a free undisturbed gait training with a uniquely smooth body weight support (no active motor driven pulley) or different training sessions and safe fall protection. One single track for smaller rooms allows a space saving installation. As a unique feature, the FLOAT compact offers a forward force adjustment to ensure natural gait and posture during training with body weight support. This feature combined with a wider sideward range compared to other systems makes the 2-dimensional FLOAT with one single track an ideal system when space is constrained. 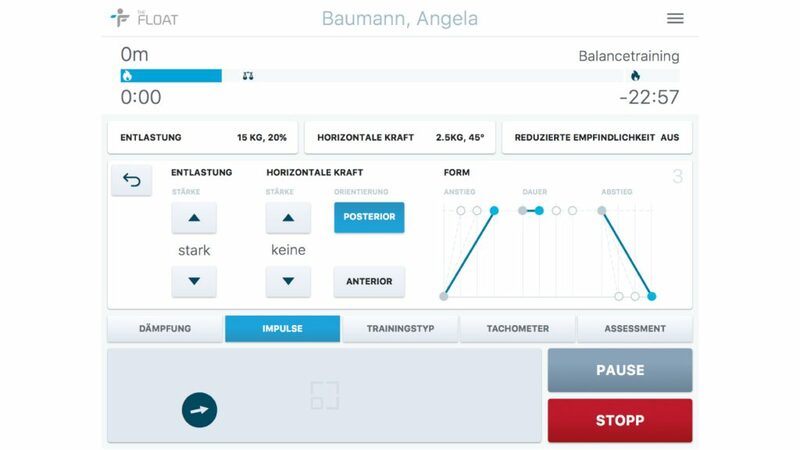 The intuitive touch capable SW allows easy setup of new patients, easy management of patients in a database, and a monitoring of a patient’s history and progress. Trainings can be set up fast with templates and are then stored, repeated or adjusted. 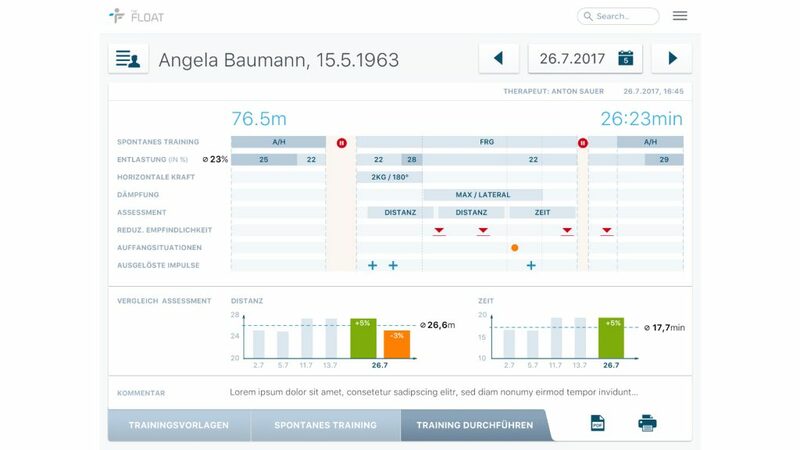 Patient assessments are easily set up and executed and can be exported for documentation or simply motivating your patient. Would you like to get to know more about the FLOAT Compact?